Serving Delaware County, Chester County, and northern Delaware, Cesca Family Chiropractic is a place where individuals and their families come seeking a natural solution to their health needs. Most patients begin care seeking relief from pain and discomfort, and many continue their care for prevention and wellness reasons. Some of our patients may only visit us a handful of times, while others choose a lifetime of care. Some of our patients have insurance coverage, while others have limited to no coverage and benefit from our affordable payment options. But one thing is for certain, ALL of our patients receive the best care that we know how to give, regardless of their age or condition…and skeptics are always welcomed. Keystone HMO, Aetna, Amerihealth PPO, and Medicare. Online scheduling is now available to existing patients and is the preferred method of booking your office visits. Click the green “BOOK NOW” button in the upper left column. New patients, please call the office to schedule your first visit. green “BOOK NOW” button found in the upper left column. Saturday – open every other Saturday morning. Use the online scheduler to check Saturday dates and availability. Dr. Jim Cesca has been on the cutting edge of technology for the conservative treatment of back pain with corrective Chiropractic care (since 2003) and Non-surgical Spinal Decompression (since 2006). In 2009, Dr. Cesca announced the addition of yet another breakthrough in technology for the treatment of neck and back pain with the Active Therapeutic Movement treatment program utilizing the Back Project ATM2®. 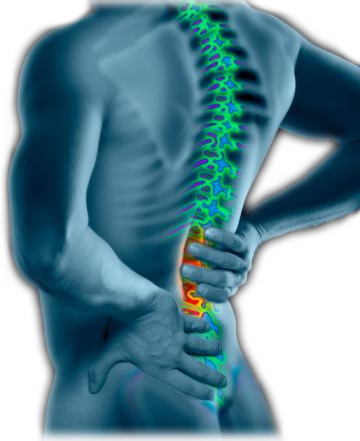 This technology often offers immediate and significant pain relief within a few minutes.